Based at Lakeview Private Hospital overlooking the waters of Norwest Lake, Lakeview Private Rehabilitation offers outstanding orthopaedic and reconditioning inpatient and outpatient services as well as the latest in equipment, a gymnasium, a hydrotherapy pool and spa and a team of outstanding rehabilitation specialists. 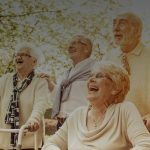 The key to Lakeview Private Rehabilitation’s reputation is undoubtedly the highly skilled and compassionate staff, all of whom are committed to delivering the best possible care. 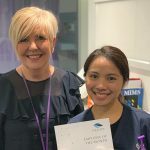 They not work closely with each patient but often their families as well to develop programs that are tailored specifically to a patient’s needs with the aim of achieving mutually agreed and meaningful goals. In addition, the staff to patient ratio is one of the highest in the industry. 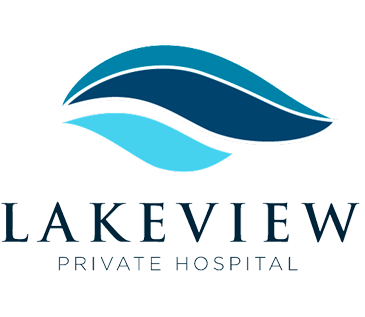 From rehabilitation physicians, nurses, physiotherapists, and occupational therapists to social workers, discharge planners, dieticians, speech pathologists and clinical psychologists, the Lakeview Private Rehabilitation focus is on comprehensive patient-centred care. “The rooms are excellent as well. We have 36 rooms and patients often comment that it’s like staying in a hotel. What appealed to me most though was the compassion. It’s something I believe is down to Lakeview Private Hospital being Doctor owned and managed. I immediately saw that the management team at Lakeview Private Hospital truly believed in their “Patient First” philosophy. Something that was typified by the high staff to patient ratio. Previously I had been in environments were the nurse to patient ratio simply wasn’t safe. 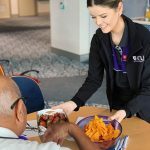 Here at Lakeview Private Hospital we have a safe staff to patient ratio in compliance with the nurses’ union and NSW health recommendations”. 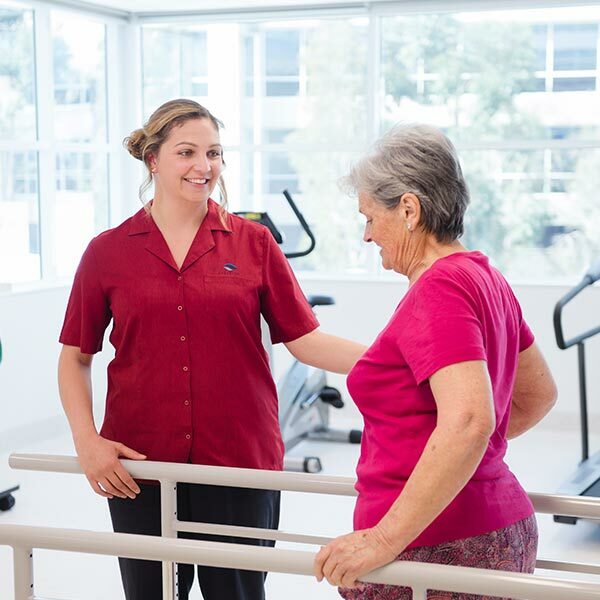 The start of 2019 has seen Lakeview Private Rehabilitation commencing a Day Program. This offers patients needing rehabilitation ongoing access to all their therapy needs without the need to stay in the hospital. The Day Program caters to orthopaedic and reconditioning patients and can include those who have had their surgery at Lakeview Private Hospital as well as patients from other hospitals or the community. 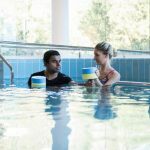 Lakeview Private Rehabilitation is blessed with one of the most impressive Hydrotherapy pools in Australasia making the facility one of the most important for the Seniors community in the surrounding Hills Shire. Hydrotherapy treatment can be highly effective when it comes to treating arthritis and related rheumatic complaints. The therapy differs from swimming because it essentially involves focusing on doing special exercises in a warm-water pool where the water temperature is usually 33–36ºC, much warmer than a typical swimming pool. More details on our Hydrotherapy Pool can be found in our special hydrotherapy feature. Click here. Referrals for Lakeview Private Rehabilitation are welcome from specialist consultants, rehabilitation physicians, GP’s and other hospitals.